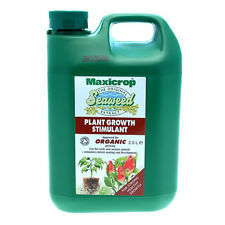 Concentrated Maxicrop Original Seaweed Extract will help you grow stronger, healthier plants, flowers and vegetables. Regular use will improve resistance to pets, diseases and environmental stress. Simple, safe and economical - use early as a root drench or foliar spray, and later, with fertilisers, to ensure maximum nutrient uptake. Use this natural bio-stimulant on flowers, fruit and veg, shrubs and trees for excellent results.